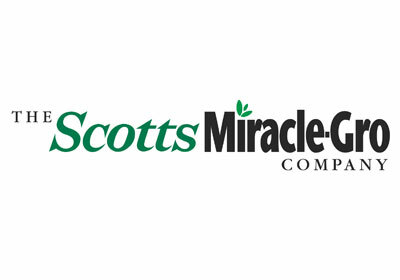 Gardening for Nature: Wordless Wednesday: NWF and Scotts Miracle Gro - Just Say NO! This is not a wordless post, but important just the same, so please forgive me if it's not my normal photo heavy Wordless Wednesday type of post. or add the #nwf hash tag to your tweet. 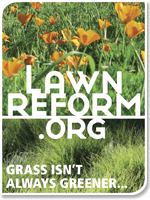 You don't have to be a gardener, wildlife lover, environmentalist or even get into nature. You just need to be a human to see that this will never be a good idea for us, our children or our planet. Oh, and the Certified Wildlife Habitat Logo I've had on this blog for so many years - it's gone and will not be back. I'm too embarrassed to say I ever had one. Photo Attributions: Images of logos of NWF and Scotts are owned by their respective companies. I am happy to report that NWFwill be terminating the partnership with Scotts. Their joint press release is listed in part below. "The National Wildlife Federation has worked together with ScottsMiracle-Gro over the past two years on programs to educate gardeners about global warming, connect children to the outdoors and help restore habitat following the Gulf oil disaster. Both parties recently announced plans for an even broader partnership that was based on our common interests. Since that time, Scotts announced a pending legal settlement related to events in 2008 that predate our partnership, which has made it clear that the partnership is not viable. Therefore, NWF and Scotts will work together to end the partnership in a friendly and mutually beneficial way." Important activism Kathy! Thank you! Is that National Wildlife Federation a government group or NGO? As Carol said this is a very important activism, I hope many will see your post. Thank you so much for taking the time to visit my blog and commenting on what you read and see! I hope that you find something in these posts to reflect upon. I apologize for requiring comments to be moderated, but lately I have been getting a lot of spam comments that link to not so nice websites! I hope you understand. My gardens are located along the Colorado Front Range, at an elevation of 7300'. We live on about .8 of an acre, with over 100 Ponderosa Pine and countless scrub oak trees. We get snow anytime up to mid June, so the growing season is rather short. But the sky is crystal blue, and the air is wonderfully clean. I have several gardens that are built to bring in wildlife and nature. We regularly have foxes, coyotes, birds, hawks, squirrel and deer, as well as the occasional black bear and mountain lion. The butterflies and hummingbirds are a constant sight in summertime, and the insect pests are few. Gardening for nature takes care of many problems for me, so I want to share my successes and failures here with you. Dragonfly Dew - My Handcrafted, All Natural Body and Skincare Line of Products. Good for you while being good to the planet. Who Needs a Lawn Anyway? Please don't copy my Stuff, but feel free to link. 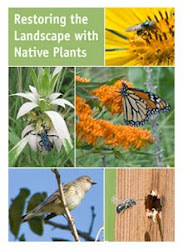 © 2008-2013 All Things In Nature, LLC, All Rights Reserved. 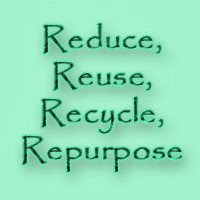 Except where noted, all text, information, and images contained on this blog are copyrighted by Kathy Green, the author of Gardening for Nature. Any use of these images or text without the express permission of All Things In Nature, LLC is forbidden.